I LOVE finding so many awesome jewelry deals on Amazon. Items like this make GREAT gift. Thinking that this would be perfect for Christmas! 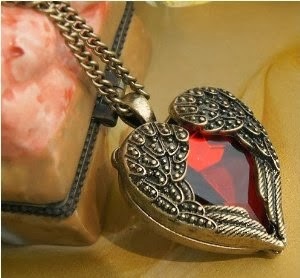 Right now, you can pick up the Vintage Red Palace Heart Necklace for ONLY $2.59 Shipped.